I am giving some of my personal background information to exhibit that I am not attacking psychology as an outsider, but as one that has spent many years studying the subject as a proponent, that had turned opponent. At one time, I was totally fixated concerning the observations and study of psychology as a tool to aid in the human dilemma. Therefore, I would suggest that my insights hold greater weight having defended the subject, as compared to a person that entered the argument with their own presuppositions seeking only to attack the subject. I have learned in life that in examining any subject, the most valuable considerations are those that supported something that a person had in time come against, a person who had changed their mind, displaying a willingness to oppose that which they previous believed by becoming an opponent to that which they had at one time loved. Therefore, those working in the mental health field, who are believers; please understand that the following is not written from the standpoint of an un-educated, inexperienced outsider, opposed to those things that seem new and frightening. No one could love the subject matter more than I did, nor could understand the depth of the wound that was created when I was willing to open my eyes and allow God to show me the truth. Currently, I am on paid staff at a major North Texas hospital as a chaplain. Chaplaincy, both as paid staff member and as a volunteer worker has been something I’ve done for the last few decades. However, on the purely secular side of life, I entered my third secular profession over a decade ago which is within the mental health profession. My field is chemical dependency; I am a LCDC (License Chemical Dependency Counselor), and a CCJP (Certified Criminal Justice Addiction Professional). My training was in classical psychology, specializing on the clinical aspects of treatment, though enjoying work in outcome based studies as well. It was the practicality of the profession that fascinated me – the ability to help people change their lives – which I still believe occurs, but at what price? The answer is that the price you pay is learning to put your trust in a humanistic based philosophy that has flaws and inconsistencies rather placing your complete trust and faith in a living God that is perfect, infallible and loving. This is not to say that I currently practice psychology or support any of its presuppositions; I don’t. Throughout my endeavor in this occupation I have learned how to survive within a secular unbelieving industry, within the structures of atheistic higher education, and how to function under the limitations of being a state employee; yet all without compromising my Christian beliefs. It is the ability, based upon the Bible, to learn to be a Daniel in a Nebuchadnezzar type of world (see LINK). As believers we do not need to compromise our belief systems to function in many professions, yet by their very nature there are certain professions that are harder to be a Christian and do, and there are certain professions that are impossible to maintain a Christian walk and practice. I would postulate that being a prostitute, an assassin, a professional criminal, are professions that would be impossible for a Christian to practice. I have come to the informed consensus that psychology may be very close to this grouping. Again the subject matter is not sincerity, it is sovereignty. Therefore, the above verse is not only speaking about serving greed and great riches, it includes anything that takes the place of Jesus Christ as Lord in a person’s life, which includes their occupation; that which they do to make an income or earnings in their life, great or small. The point that Jesus is making is you are going to serve somebody, but you can’t serve two gods at once. And when it comes to humanistic philosophies, you’re either going to serve Jesus Christ, or your profession as a psychologist, but not both the same time (To the mental health worker that feels the conviction of the Holy Spirit. You may not necessarily need to resign your job, but you do need to change your practices. Please see footnote number #1). It is with these considerations that I present the following, my opinion – yet my educated opinion. Have you ever asked yourself as a Christian, why does humanistic psychology have so much credibility within our culture. Agreeing first that the un-saved individuals lack an aspect of discernment which renders them spiritually blind. However, we must remember at the same time that the imageness of God, which was placed in Adam (though affected by man’s fall unto degradation); is still a part of humanity, as seen in the intelligence of man, and mans abilities to yet discern his environment, and others. Fallen man’s perception may be limited in certain areas, or at certain times; yet the unbeliever still bears a perception that God placed within man. Therefore, how do we explain the hundred years of radical acceptance of psychology by the masses, both believers and unbelievers all over the world? I believe the reason for this is that psychology as a supposed scientific pursuit has made many thoughtful observations concerning man and his behavior. And that as psychologists learn from these observations, and can therefore make predictions, they thereby gain credibility from the masses. Example: you can watch a dog for weeks, perceiving and recording its reactions to its environment; and therefore conclude a very thorough sophisticated outline concerning the dogs actions and the probability of future actions. However, this does not give you any formation concerning the true internal aspects of the dog. You cannot tell if the dog has a spiritual aspect – a soul, and if so, where it’s soul came from prior to its physical existence. And if this could be true, you could not determine if there was a master designer – a God who originally created the dog; or who that personage may be. Nor can you tell what happens after its death. And though you may be able to make certain somewhat qualified predictions concerning its behavior, you would only be guessing concerning the working of its motivation and understanding of life, both actually would be foreign to your endeavor. The best you could do is grasp, based upon your insights and thinking process, the outside condition and behaviors of the dog without understanding anything more. This is what psychology has done concerning humans, and concerning their observation of human behavior, because if you watch something long enough it’s patterns will become obvious. Example: one of the many psychological insights that has given psychology such credibility is referred to as “Birth Order Personalities,” as originally created by Kevin Leman. This hypothesis conjectures that within an original family group, that certain personalities will develop according to which child is born in what order. The first child normally becomes the hero, the achiever; the second child normally becomes the rebel, the third child becomes the clown, and the fourth child becomes the silent child. Now this all breaks down whenever you bring in blended families where conflict between the chronology breaks down as prior established personalities conflict within the new blended family unit. Where there are now two heroes who duke it out, and so on. This is a very understandable phenomena. With the first child, the parents having no experience, treat the child as if it is gold, treating as if it would not grow up right unless they treated like the center of their world. It is common that this child is spoiled, having been doted over by parents and grandparents alike as the first introduction of children to the family. They invest more time and energy into this child, which creates a sense of empowerment and entitlement in the child which normally leads to this child being a leader, a winner, more dominant than others. The second child may attempt to usurp the first child’s station in the family, yet the parents and others have already accepted the role of the first child, so the second child would lose in the attempted takeover and therefore search for identity, and normally finds it as being the opposite of the first child, as the antagonist; in the form of being in the rebel, where they gain attention in this way. The third child, in searching for identity finds acceptance by being non-threatening in getting attention as the family clown, he receives attention from others by being the funniest. The fourth child, finding no ready acceptance becomes more introverted, usually astute and excels academically, yet is more withdrawn. The commonality that all of these children have is in the form of seeking love, which is manifest in seeking attention. It has been wisely said that the opposite of love is not hate, but in the refusal to acknowledge the other person’s existence. If two people were in love and broke up, and the one that left still hated the one that wanted the relationship to continue, the rejected one is still is involved in a relationship, even though it is based upon hate – there are emotions still being churned. Yet, there is nothing worse for the rejected one than to sense that there is completely no feelings whatsoever for them; they are nonexistent in the world of the person they love. This is devastating, even worse than being hated. There is nothing worse in the world then isolation, and isolation is based upon a lack of relationship, it is based upon a lack of acceptance and acknowledgment. Therefore, as a child grows up it is important to their feeling of love to be accepted and acknowledged as who they are. Therefore as intelligent creatures as God made us, as we grow up within our own family we seek out acceptance and acknowledgment, validity of our existence. And this is done by our behaviors, and habitual behaviors are simply manifest in what we refer to his attitudes, which are presented into the world as personalities. Therefore, this observation; if true, is not based on any great insight based upon psychology, simply an observation of reality. Before I ever heard of Kevin Leman, my grandfather spoke about the same kind of phenomena concerning humanity having never went to college a day in his life. As it goes there are always breakdowns in classifying anything, and exceptions to the rule, and the same is true concerning birth order, as seen in parental behavior wherein emotional starvation occurs; or especially within a culture where divorce and remarriage is the standard rather than the exception. Also exceptions are seen in the length of time between the different births. Such as a baby that is born 5 to 10 years after the rest; which may become the golden-haired child because it’s siblings, if female will nurture it, and it becomes spoiled having many more people to render time to its parenting – it’s the “baby”. The point is, that this type of observation wherein psychology has grained such credibility is merely based upon spending time studying something. It does not validate the science as a whole concerning any conclusions or treatment that psychologist may render, hence the reason we have over 500 different types of psychological pursuits. And despite all of the clamor and rhetoric concerning psychology, these observations may or may not help in assisting individuals in the treatment of how to deal with (what psychology terms as), mood disorders, personality disorders, or physical or environmental stressors (as identified and classified in the “DMS-IV-TR”, the “Diagnostic and Statistical Manual of Mental Disorders” utilized by the medical and psychological establishments), as well as any other psychological condition people display. While many say that Sigmund Freud, and his apprentice Carl Jung are the fathers of European psychology, William James and Wilelm Wundt are considered by most to be the fathers of modern psychology in America. Many people think of psychology as one discipline, rather than understanding that it is more of a category with over 500 individual disciplines under it’s heading. By the late 1970’s there were over 250 different psychological disciplines – forms of therapeutic approaches to the treatment of mental deficiencies or problems; with this number increasing to almost 500 by the turn-of-the-century. What most people don’t understand is that each new psychological approach was created usually in deference to another approach, so within these 500 different forms of treatment while there may be an eclectic use of the same terms, or tools; most of them seem to be antithetical one to the other. The point is there is NOT a uniform consensus that can be addressed when one form is used to attack Christianity. The devil was very smart in this, rather than have one arch-enemy where a template could be devised where Christians could understand how to deal with these philosophies which are antithetical to Christianity, Satan create hundreds of different modalities, with different presuppositions. However, there are certain presuppositions which a majority of these forms of treatment hold to as foundational. There as are many types of psychology; consequently, there are many different groupings of these presuppositions. A random listing might consist of: Determinism, Experimentalism, Reductionism, Naturalism, and Relativism. Others might also add Materialism, Evolution, Empiricism, Humanism, and even Occultism. Attempting to make overboard statements concerning the field of psychology becomes different whenever we approach the methodology or foundational presuppositions of these diverse therapies. Yet, many of these approaches state that they deal with thinking processes that have been disturbed because of past experiences and / or physical trauma to the muscle referred to as a brain. The mind is not a physical description, the brain is. And as many of these disciplines seek to understand those activating events which initiated trauma to the human mind, many believe that this knowledge will indicate the proper course to addressing the treatment of these traumas. In the early part of the 20th century a divergent philosophy concerning psychology, which was antithetical in many aspects emerged. This new approach rejected introspective methods or mere talk therapy and sought to restrict psychology to experimental methods which reduced problems to behaviors, behaviors which could be learned and unlearned. All of us have heard of “Pavlov’s Dog,” where Ivan Pavlov observed the connection between behavior and thought processes. It was B. F. Skinner who perfected many of the insights gained within behaviorism. And while an avowed atheist and humanist, Skinner dealt with behaviors and conditioning as opposed to delving into the psyche of the subject. 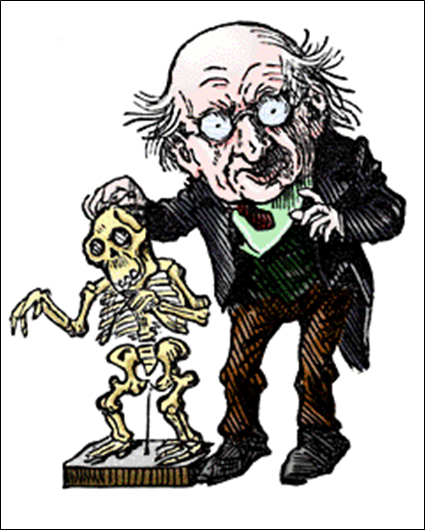 Skinner’s modality, termed “Radical behaviorism as the philosophy of the science of behavior. It seeks to understand behavior as a function of environmental histories of reinforcing consequences. Such a functional analysis makes it capable of producing technologies of behavior. Unlike less austere behaviorisms, it does not accept private events such as thinking, perceptions, and unobservable emotions in a causal account of an organism’s behavior” (Wikipedia: http://en.wikipedia.org/wiki/B.F._Skinner). Of all the forms of psychology, over 500; this approach to the human condition is much more conducive to dealing with training or retraining human behaviors. Yet, this as all psychological approaches must be understood to be humanistic and man oriented, as opposed to Christian and God oriented. Today there are many in the church who practice what they refer to as “Christian Psychology.” These individuals are normally well-meaning believers that have great empathy (to experience compassion for someone who is going through something that YOU HAVE went through yourself) or sympathy (to experience compassion for someone who is going through something that YOU HAVE NOT went through yourself) for others; however, it is their training in psychology that we should question, not their motives. If you take the time to thoroughly examine this practice, you will find that it is a psychologist or therapist that uses Biblical citations, merely as props, yet does not fully follow Biblical doctrine. Even those that use a lot of Scripture, MAINLY do so loosely and merely to make their own presuppositions (I am not ONLY referring to psychological premises, but also to the positive side of the human conscience, so termed. Many of the teachings found in God’s Word are just good common sense. This is because we are made in the imageness of God Himself, through Adam. Therefore, these presuppositions may line up with the Bible, but the question becomes what came first the presupposition or the Bible that they use to find Scriptures that validate their beliefs), while practicing a psychological framework which is their ultimate guide; rather it is antithetical to the Bible or not. Many times what they state is simply common sense, and may even be neutral. But it is when they present psychological presuppositions concerning discretion that you must be alarmed. Remember the old adage, simply because the poison is only a single drop within a large glass, does not nullify the death that follows. There over 500 different types of psychological pursuits, and it is impossible to address them all, yet if you take them one by one you will find that their practitioners are psychologist first and foremost, and that the use of Scriptures as props does not validate their forms of therapy, even if they call it Christian psychology. Psychology, according to the popular Rogerian (Carl Rogers) example, is “client centered,” which is anathema to the book of principles wherein the Bible is God centered. Foundational to any therapeutic pursuit is a relationship between counselor and counselee; wherein the counselor is always on the side of the counselee, taking what they say at face value, rather than the pursuit of truth. Often I have heard supposedly Christian counselors (rather a therapist, psychologist, practitioner, or doctor; they all counsel) advise Christian women to divorce a man who the woman states is verbally or emotionally abusive, which is not validated in the Bible; nor do they even attempt to use Scripture concerning these types of cases. And worse yet, they never attempt to validate the merit of what the counselee says by meeting with the husband. Pastorally speaking, having run into this type of situation the first thing is to bring the couple together and utilize God’s Word to work out the problems of their relationship. What I mean by the premises or presumptions of psychology is such belief that verbal abuse is the same as physical abuse. Or they haphazardly throw out the term emotional abuse. Yet, they are never there to witness these declarations that they assist occur based upon one person’s perspective. Regarding this type of counselor, how arrogant is it to believe that you can discern the reality by only hearing one side of the issue. The arrogance and pride of a counselor who thinks that they can judge a situation by hearing the counselee only displays a lack of humility, as well as a lack of faith in God that trusting in Him will result in a righteous conclusion. Personally, within pastoral counseling I have repeatedly found how Christians that are uncomfortable in a situation; wishing for an excuse to leave, rather voluntarily or not, distort the situation; intentionally or not..
A good counselor looks for the truth, not for simply building a good relationship with the counselee, believing that they can interpret a situation from such a limited perspective. Biblically speaking, the way to deal with an abusive husband is to line up with God’s Word which I’ve never seen a Christian psychologist ever use. The scriptural basis is very simple and found in Matthew 18:15-18. This has to do with when Christians violate other Christians. Yet, the one thing I have never seen happen with a Christian psychologist is to state that marriage is to be honored even if it’s participants do not do so. That divorce is not recognized except in the case of adultery as per Jesus very own words. I have seen situations where women have been physically abused, and for their own physical safety as well as the safety of their children have left the husband, yet without divorcing them. I have also seen God bring these families together by using the separation of loss to motivate the man to again seek God, pastoral guidance and correct his behaviors. However, the Christian psychologist who set their priority as their discernment of the happiness of their client never speak of leaving the abuser without divorce. Because why should the woman be tied to an abusive man and be unhappy. This is their kind of thinking, it has to do with a false belief that believers were created to be happy, as opposed to what the Bible teaches, which is that believers were created to glorify their God (Isa. 43:7). This is why I say that Christian psychologist build their practice upon psychology first and foremost; because they do not have the courage to totally reiterate what God’s Word has to say within these kind of devastating situations. Therefore, the psychologist is not allowing God to work in the situation, but they must manipulate based solely upon man’s ability, as opposed to God’s superiority. Within the Biblical framework for pastoral counseling, a pastor already has built credibility in a relationship with the individuals prior to those situations that Biblical counseling is needed. Pastors are God’s representatives to counselor the flock, even if he uses another minister within the flock – the point is this is handled in the Church, to follow God’s Word – to glory God. Also, those that refer to themselves as Christian Counselors (those trained in psychology that utilize psychological theories and tools; rather they call themselves “Christian Psychologist,” or “Christian Counselor;” it is simply semantics, it is their premise and tools that define their behavior that counts), and charge money (even if they have to pay for higher education, this does not mandate that they make money from pastoral counseling to do so – it’s not about making money, it’s about serving God. If He owns everything in my life, then why do I need to use Him to make money to pay for those tools that equip me to better serve Him?) for that which they have freely received of God, according to and through God’s Word (if they truly do use God’s Word as a foundation for their work), do so in violation of God’s Word (Matthew 10:5-8, as an example to us now). There are no biblical allowances for an outside paid occupation of being a Christian psychologist. The presuppositions that are necessary to practice psychology are antithetical to God and His Word; it is like mixing oil and water. Either you serve one, or you serve the other, period (Matthew 6:24). They do not mix – at all. I spent years as a proponent of Christian counseling, always fighting my internal Biblical reasoning, until finally I had to stop following the vanity of my own mind in order to legitimize my wholesale commitment of time and energy that I had made to psychology. Many Christians are won over to Christian psychology because it legitimizes their behaviors, and many times appears to free them from challenging, if not dangerous situations. 1. What I am not saying is that you must necessarily stop practicing the art of counseling as it relates to many environments. There are certain areas wherein I believe that the practicing mental health worker can function without compromising Biblical standards. There are ways to be a Daniel in a Nebuchadnezzar type of world. But it is some, if not many of the tools, practices, and modalities that are utilized that must be considered and perhaps abandoned. For anyone in the field of mental health there are Christian alternatives that can be utilized in certain practices which are solely Biblical without the integration of psychology, wherein observational tools and functional aids utilized within the field are appropriate. I believe that there are even aspects of treatment which can be fully utilized, yet it is the underlying premise which must be addressed. It is developing the type of Biblical discernment that the professional needs in order to understand when there is a conflict of interest. For those interested please email me, and I will provide information. BrentBolin@lcdc.info.